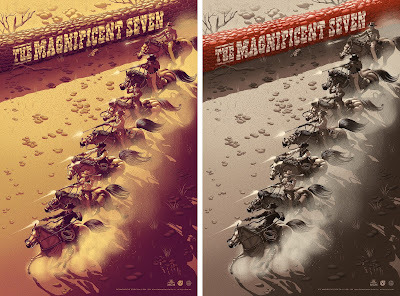 The Magnificent Seven by Jay Gordon is a 24”x36” hand numbered screen print. The Regular Edition is limited to 100 pieces and retails for $65, while the Red Brick Variant is limited to just 55 pieces and retails for $85. There’s also a super limited Night Variant that is limited to only 25 pieces and retails for $100. 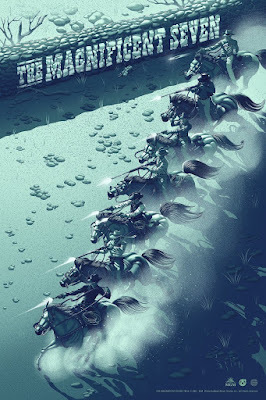 All three colorways are available now at the Mad Duck Posters online store.